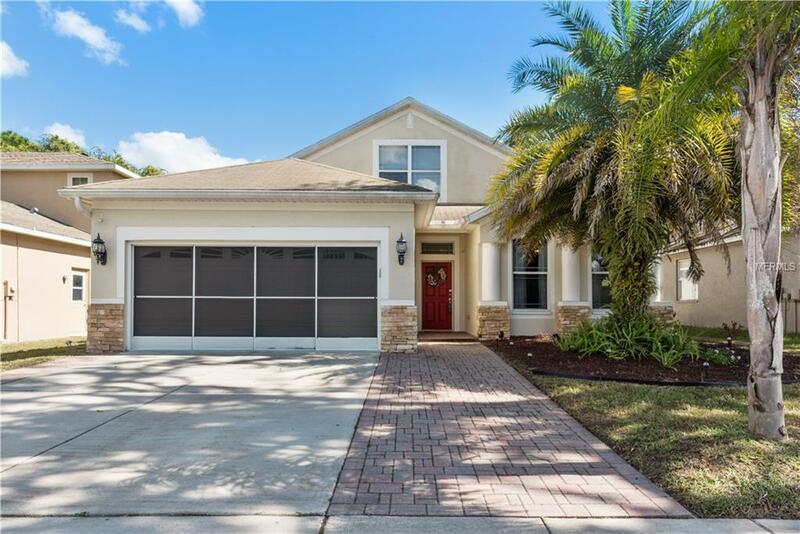 CUSTOM UPGRADED RYLAND HOME in an eloquent gated community. This home is MINT and offers a huge living room 13x21. A spacious kitchen with maple cabinetry, granite counter tops, stainless steel appliances, and a breakfast bar with prep island. The large eat in dining space has a built in desk and is open to the cozy family room which is a perfect entertaining area. The huge master bedroom is 13x19 with tray ceilings. The master bath has granite counter tops, dual sinks, a garden tub/separate shower and a large walk in closet. The room off the master could be an office, or a 5th bedroom. This elegant home also features a huge paved patio with a hot tub and a private fenced back yard.